A circus coming to a town or village used to be a highly anticipated event providing an opportunity for families to bond together in a fun and exciting atmosphere. However, as a result of changing attitudes, the popularity of circuses and the particular form of entertainment it offers has decreased in recent years. The origins of circuses can be traced back to Ancient Rome where they were primarily used for the purposes of exhibiting horsemanship, equestrian skills and gladitorial ability. 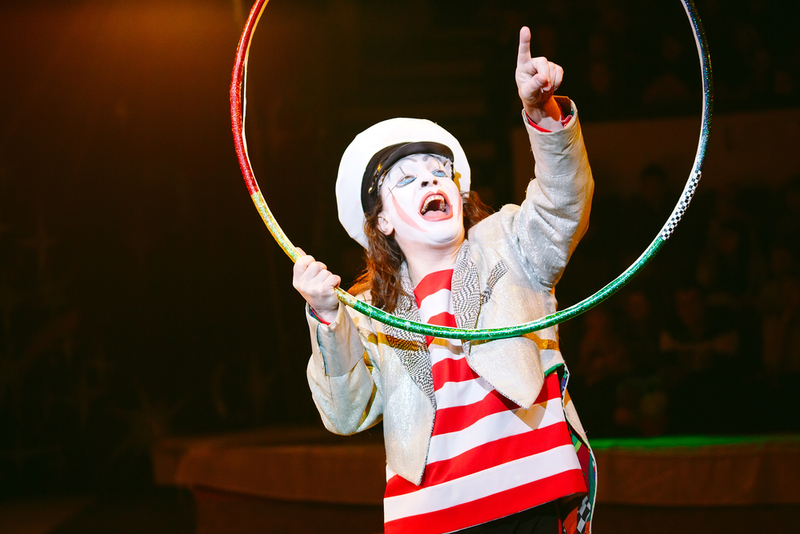 In the modern era, a man by the name of Philip Astley founded the first circus in England during the the mid 1700s. It has underwent a series of incarnations since that time, gradually adding featured elements that are commonly seen today such as shows, casinos, acrobatic events and the easily identifiable Big Top tent. It eventually became popular in the United States with companies such as Barnum and Bailey emerging as front-runners of the circus phenomenon during the 1800s. Bucharest Romania, February 18, 2017: A trouper performs at the International Circus Festival hold in Bucharest, at Globus Circus. Yet despite its success, circuses had a dark side as well. Freak shows were prevalent in most of them where individuals with physical abnormalities were exhibited and thus exploited for the sake of ticket sales. Another problem that arose was the use of animals in many acts. While it wasn’t perceived as being abusive at the same time that freak shows were, sensibilities began to change over time. Today, many believe that undomesticated animals should be allowed to remain in their natural habitat. The clearest example of this shift in public opinion regarding regarding the use of animals in circuses is the closure of the Ringling Brothers and Barnum and Bailey show. The company had managed to stay afloat despite world wars, the Great Depression and the significant advancement of technology that took place in the 20th century. However, after a series of court cases brought by animal rights groups, a damning leaked video in 2009 and periodic bad press, ticket sales have decreased continually for over a decade. As a result, the circus will end in May and the animals will be re-homed in sanctuaries. It can also be argued that circuses are passé and that people simply don’t find the type of entertainment they offer to be, well, entertaining anymore. One exception of the decline of circuses is Cirque du Soleil. Relying on the exhibition of human ability, talent and skill, its shows frequently enjoy positive reviews, high ticket sales and the support of the public. Therefore, it’s fair to say that while the circus may not elicit the excitement it used to, today’s version of it is still worth it to see, enjoy and in many instances, marvel at.